I’ve been a percussionist for most of my life. It started with pots, pans and furniture. Then my parents got me my first drum set at age two, a Mickey Mouse kit that I allegedly broke within a few days. Coming from a musical family, I’m very thankful for an upbringing that allowed me to embrace music. Though my focus was jazz drum set, classical and orchestral music still captivated me. In high school my passion for classical music was ignited by attending my brothers Minnesota Youth Symphonies concert. After being inspired by the musicians playing great, challenging music at such a high level, I decided that I had to be a part of it. I made the symphony orchestra with Manny Laureano conducting and it remains one of the best experiences of my life. 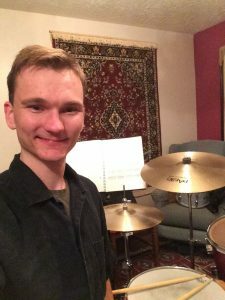 I went to college to study jazz drums and with the help of my drum set professor, convinced the faculty to let me play percussion in some of the orchestras on the side. I remember sneaking into the timpani practice rooms, practicing out of method books and playing excerpts, dreaming of one day playing them in an orchestra. I first heard about the Bloomington Symphony when I was playing a jazz gig one night. Our oboist, Patrice Pakiz, happened to be in the audience. We ended up chatting and she told me that she played in the BSO, that Manny Laureano was their conductor, and that their timpani position was opening up. 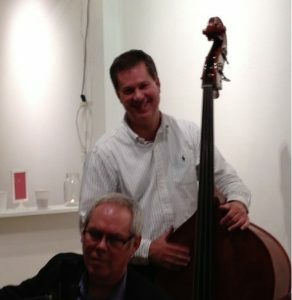 I remember thinking how much I would like the opportunity to play with the BSO and to work with Manny again. However, having not played timpani since college, I didn’t think I could win the audition. After my dad kept twisting my arm to audition, I decided to dust off my timpani and go for it, and I’m very glad I did. 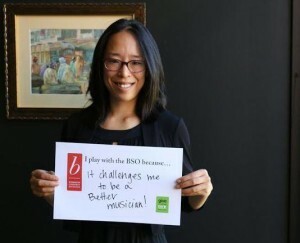 Playing in the BSO has challenged me to grow personally and musically. I’m very thankful for the opportunity to play great challenging, inspiring music with an amazing community of musicians. It’s a dream come true. 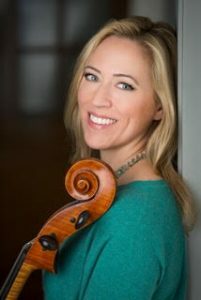 This month’s Musician’s Musings was written by BSO Principal Cellist and former Board President, Laurie Maiser. I’m a small-town Minnesota girl. Born and raised in Austin, MN, it was a special event when we would have a school event to trek up to “The Cities” to see the Minnesota Orchestra. As a student cellist, the MO was the brass ring – the incredible group of hometown professionals I daydreamed about being a part of someday. Fantasy Camp was a 2+ day event in July, culminating in a performance of Berloiz’s Roman Carnival Overture on stage in a side-by-side with the Minnesota Orchestra, under the direction of Osmo Vänskä. I wrote about it a lot on social media, so when the BSO Board asked me to write a blog post about my experience and what I can bring from it back to BSO, I thought it would be easy. No problem, I can do that in a week. That was a couple of months ago. Turns out, it was harder than I expected. The experience was sublime, no doubt. The performance flew by so quickly…. followed by rousing cheers and a standing ovation. The crowd was full of our “plants” – each camper got 10 comp tickets – but still, the crowd reaction was icing on the cake. Two thousand people cheered us on. The MO musicians smiled and congratulated us as we walked off the stage – they were gracious and classy at every turn. But what did I learn? What can I bring back to BSO? 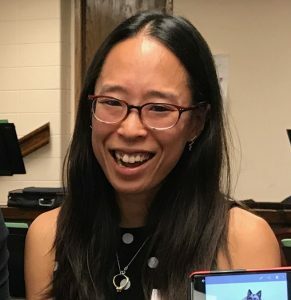 There were little cello things I thought of right away – how I learned so much from sitting next to Tony Ross, principal cellist, and trying to mimic shift timing and bow articulation. How well Osmo Vänskä can imitate the roar of a motorcycle. How the cellists all stick their end pins right in the floor – and have metal files backstage to keep them dangerously sharp. But most of you don’t care about that. So I kept thinking. I left that camp a changed musician, but why? If it wasn’t the little things, then what were the big ones? I think I needed some time to live with these changes to put them into words, but I finally found some. Preparation, preparation, preparation. Without doubt, the level of preparation of MO musicians is exemplary. We were told when accepted into Camp that we needed to know that music when we arrived, and they weren’t kidding. We had sectionals on our own, but our rehearsals with the MO musicians were little more than run-throughs. When you walk on that hallowed stage, you are expected to have every note down. How much would we all grow if we had that mindset whenever we played? We are largely amateurs in BSO – we all have other commitments – but what if we all did our best to come into that first rehearsal performance-ready? What if we could use those rehearsals to work on ensemble and musical expression, because the notes were already there? 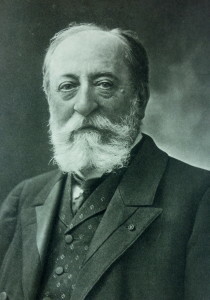 Think like a conductor. Sarah Hicks, Minnesota Orchestra’s principal conductor of Live at Orchestra Hall, did a seminar for us on The Art of Conducting. 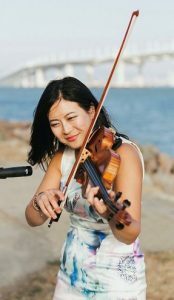 She went through the preparation of a conductor– what they must think through, what decisions they must make – before they lead an orchestra. This was truly eye-opening. I always study recordings of our BSO repertoire, but am laser-focused on the cello line. This inspired me to listen differently. What else is going on? Which line are we taking over? Where do we fit in the context? I hear music differently now than I did before, and even catch myself conducting in the car. The orchestra is a family. 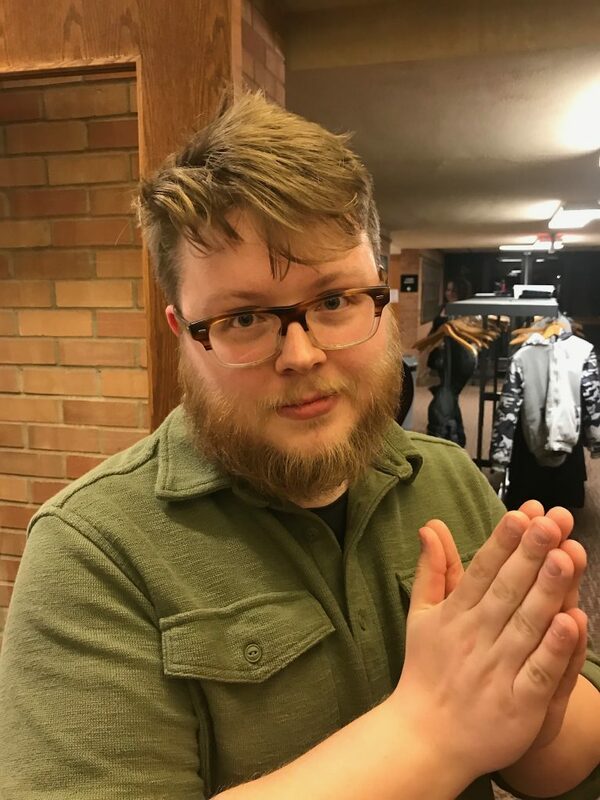 BSO’s own Concertmaster, Michael Sutton, was tasked with talking to the campers about what was loosely titled “Auditions.” They couldn’t have put that job to anyone better suited. We heard his personal story, asked a bunch of questions, and eventually through his candid and colorful storytelling heard some hysterical “inside jokes” of the orchestra that – more than anything all week – connected us to the MO in a personal way and made the “fantasy” come to life. What can each of us do to bring that culture of professional respect, personal courtesy, and a playful sense of humor to our playing experiences? How can we make coming to rehearsal a personal pleasure beyond the music? Above and beyond all of this, however, I walked out with overwhelming gratitude for the Bloomington Symphony. You see, unlike some of the other “campers” I met there, I did not leave camp wistfully wondering when I would get to play symphonic music again. I have an incredible opportunity every week to make music at a high level with truly wonderful people. I can keep learning under the inspiring leadership of Manny Laureano and Michael Sutton – who through their examples make every rehearsal like our own mini Fantasy Camp. I’ve always been proud and grateful to be part of the Bloomington Symphony, but never more so than now. Like any incredible vacation, Fantasy Camp was a tremendous thrill to experience. However, at the journey’s end… there’s no place like home.